It was not a good weekend for CNN. Not ratings-wise, they don’t make good ratings ever, but from a journalistic standpoint. On Sunday, James “the clap” Clapper was on State of the Union with host Dana Bash and she asked the former Director of National Intelligence a basic question – if the intelligence community was so concerned that Russians were attempting to infiltrate the Trump campaign, why didn’t you warn them? Clapper was completely unprepared for this basic question because he’d been living in a world where even mildly challenging questions are not asked of him. Clapper’s answer was pathetic, and basically boiled down to “We had to send in spies in order to find out if we needed to send in spies.” This “logic” means any American can be spied on to find out if there’s a reason to spy on them, which is incredibly dangerous. Clapper also claimed he wasn’t told of the spying, saying he shouldn’t have been told in order to “protect the source.” Apparently Clapper doesn’t think he should be trusted with the identity of spies because why? Does he just become a fountain of information to anyone within earshot after a couple of glasses of chardonnay? It was a shockingly bad performance and we have all the audio for you on the show. There was an outrage explosion over the weekend by liberals upset at the conditions in which sweet, sweet, nourishing illegal alien children were being held by the Trump administration. 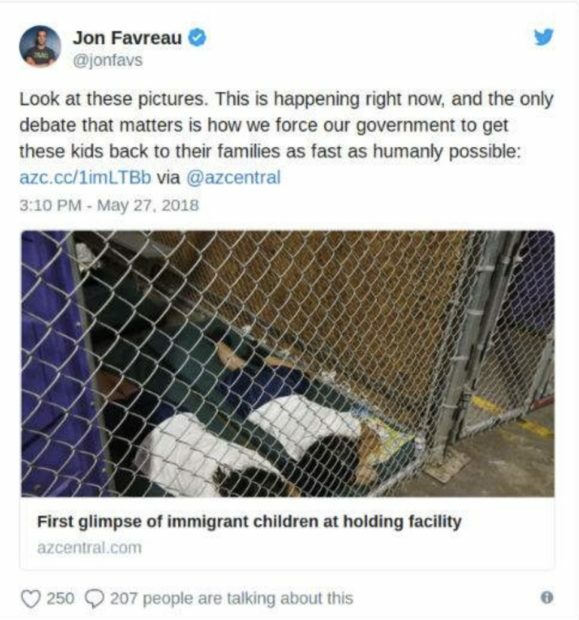 Forced to sleep in cages, these children became THE liberal cause of the Memorial Day weekend … until someone realized the pictures they were upset about were taken during the Obama administration. Suddenly, tweets by liberal activists decrying the practice started disappearing. Even former Obama administration officials were pretending the “outrage” they were blaming on Trump didn’t happen at a time when they were responsible and could have done something to stop it. You can’t make this stuff up, and we mock them roundly for it. Finally, CNN declared an outrage over a picture of Ivanka Trump with her 2-year-old son because illegal alien children are being separated from their illegal alien parents at the border. In typical CNN fashion, this “outrage” was basically a few liberal activists who complain about anything anyone named Trump does. But that didn’t stop CNN from devoting an entire segment to the “backlash” Ivanka was facing, even though no source for this “backlash” was mentioned in the segment. Where was it coming from? CNN doesn’t say, because citing your own newsroom doesn’t look particularly good, probably.